How Frequently Should I Clean My Carpets in Levittown, PA? Once a year, no matter what of the circumstances, everyone should have their carpets cleaned, and that is the minimum. Dust, pollens, mold spores and other allergens enter your home on your clothing and shoes and through open doors and windows no matter how careful you are. These pollutants drift through the air and settle in your carpet’s fibers, so even if your carpeting doesn’t look very dirty, they will definitely affect the air quality in your home. Here at OxiGreen Carpet Cleaning in Levittown, PA, we follow the recommendations of the IICRC that families with children, a smoker or a pet have their carpets cleaned twice a year. Large families or families having more than one smoker or more than one pet should clean their carpets with every changing season, four times a year. If you are looking for a reputable, affordable, professional carpet cleaning company to help you keep up with this regular maintenance schedule, give OxiGreen in Levittown, PA a jingle today. OxiGreen has more than 25 years of experience and has earned a superior rating from the local Better Business Bureau. The IICRC, the Institute of Inspection, Cleaning, and Restoration Certification mentioned above, is an independent agency that trains and monitors technicians throughout the US, including the carpet cleaning technicians at OxiGreen! OxiGreen in Levittown, PA is proud to have invested in state of the art, truck-mounted carpet cleaning equipment, enabling us to reach the allergy causing debris caught deep in your carpets that regular household vacuums and carpet cleaning machines never even disturb. Our hot water propulsion and superior extraction removes 85% or more of the pet dander, dust mites and other pollutants from your carpets. Better yet, our process is 100% “green”, which means that our cleaners are natural, non-toxic and completely safe for your family members and for the environment! 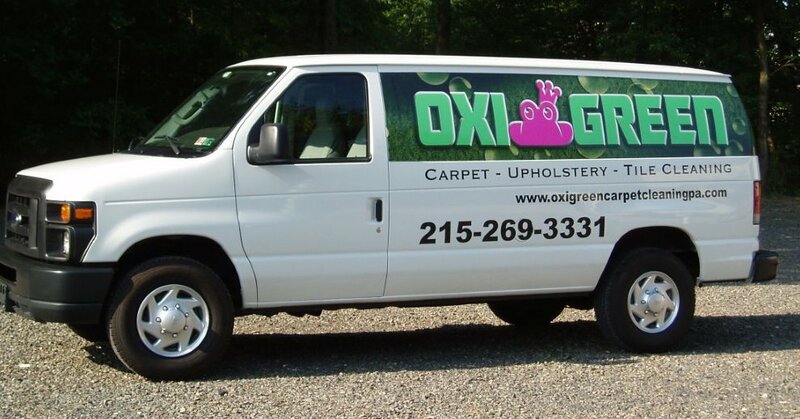 Give us a call at OxiGreen in Levittown, PA at 215-269-3331 or visit our website at http://oxigreencarpetcleaningpa.com. We can tell you more about our services and our outstanding carpet cleaning package specials, created to help you keep on that regular cleaning schedule. We are here to keep your carpets truly clean for you. Call today.